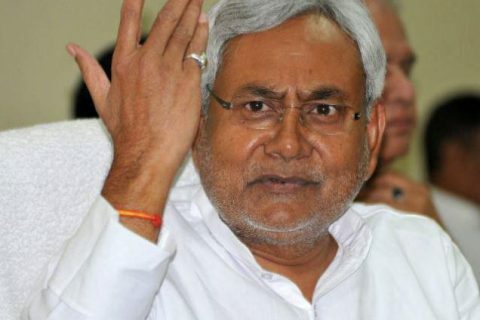 The Chief Minister of Bihar had earlier announced his resolves which stressed upon the importance of electricity. Keeping in line with his objectives to empower and provide proper infrastructure to the state, he has launched this new scheme. The Har Ghar Bijli Yojana comes under the Saat Nischay portfolio. It was launched in 2016, and the state government agencies have instructions to immediately implement them. The main aim is to provide electricity in every household. Still now there are thousands of homes in Bihar that are deprived of electricity. Under this scheme, the houses that do not have them yet will be considered to get the benefits. Also the scheme aims to provide connection to over 50 lakh households. The implementation of the scheme is to be done by the year 2018. The scheme is not just targeting the urban population but also the rural poor families apart from the ones that are being already covered by Deen Upadhyay Gram Jyoti Yojana. The state has more than 50% of the Above Poverty Level homes that are devoid of electricity. Even these houses will be covered under the free electricity connection scheme. How much will it cost to get this connection? The connections you will get under this scheme will be costless. Yes, it will be provided for free to the beneficiaries. However, only the installation will be done for free. The electricity bills will have to be paid monthly as usual. The central government has taken several initiatives to offer power connection to all such families, which fall below the poverty level. Before this, Bihar state government has already initiated a scheme that provided power connection to poor for free. The name of this scheme was Har Ghar Bijli Yojana But it was not producing satisfactory results. Then, the state government joined hands with the central government. After associating with the central Saubhagya Yojana, there was an increase in the speed of this scheme’s implementation. Almost 93% of the households in this state have already acquired free power connection under this scheme. The aim of the state authority is to provide power to remaining 7% homes by the end of 2018. People who fall under the poverty line will be able to apply and attain free power connection. Some of the rural areas and districts have already reached the 100% mark. It is the responsibility of the power distribution company to carry out surveys. It will help them to figure out if there is any house without electricity connection. But recent changes suggest that there is something for APL families as well. The Bihar authority has announced that all APL families will be able to attain power connection at a reduced price. Apart from this, if any family does not have any male member, falling in the age bracket of 16 and 59 years, and is headed by a woman, then that house will attain free power connection. If the head male member of the family is handicap, then he will get electricity objection free of cost. Survey reports highlight that the state government is yet to reach out to 44,000 households within the borders of Patna city. There are 948116 households in this area. Till date, 871196 families have already received the benefits of this scheme. The remaining families will get their conduction by end of September.